Samsung has reported record financial figures, with a huge 76 per cent jump in profits for the last three months of 2012. This is thanks mostly to its range of Galaxy smartphones flying off the shelves. This follows the record revenue Apple reported recently. So it's boom time for mobiles. Samsung's net income rose to a record 7.04tn won ($6.6bn, or £4.2bn), which is up from 4.01tn won over the same period last year. Its mobile profits more than doubled over the same period, too. Samsung didn't say how many smartphones it sold in the last three months of 2012, but analysts estimate it was around 63 million. The Korean mobile maker also has big plans for its much-rumoured Galaxy S4 smartphone. It's reportedly ordered 10 million components for the handset, hinting it reckons it can sell that many every month. Which would be quite some feat. 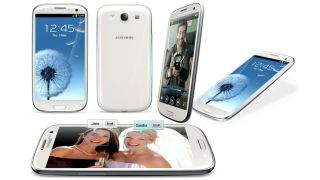 The S3 has sold more than 40 million units worldwide, and Samsung is widely expected to repeat this success with the S4. Samsung's Galaxy Note 8.0 is expected to make its debut at Mobile World Congress at the end of next month, along with its Galaxy Tab 3 range. The S4 isn't expected until April or May.